Mazel Tov! 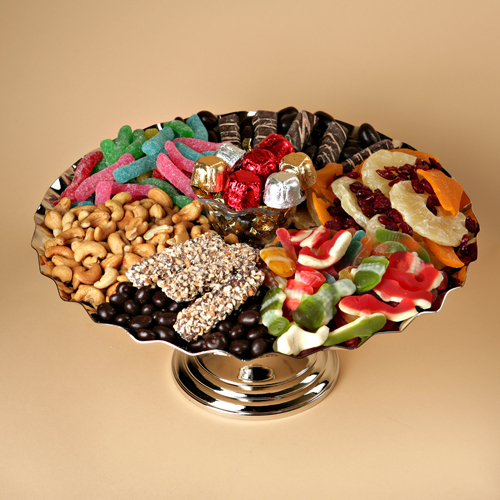 Choose from our fabulous platters to celebrate the occasion! 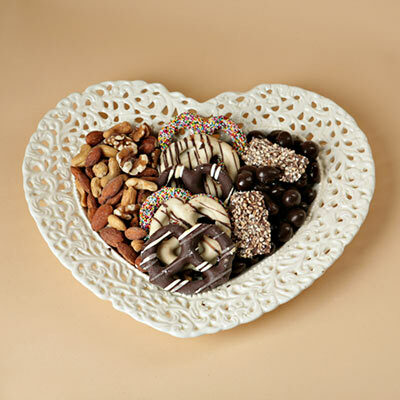 A beautiful ceramic heart shaped gift platter filled with Viennese Crunch,chocolate covered pretzels, chocolate bridge mix and mixed nuts!